What would it be like for the U. S. to achieve environmentally responsible energy independence? What if we no longer needed to rely on imported crude oil? What if all off-shore drilling could stop because it wasn't needed? What if our transportation was fueled by natural gas? What if our homes were powered by wind and solar sources? I can already here the boo birds singing their same old song of "That's impossible, boy!" My friend, Dr. Tommy Bush is working on the problem at his place in White County, Arkansas. 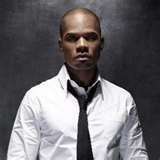 To watch the video clip on his progress just click here. "Lord, if I thought you were listening, I'd pray for this above all: that my church set up in your name should remain poor, and powerless, and modest. That it should wield no authority except that of love. That it should never cast anyone out. That it should own no property and make no laws. That is should not condemn, but only forgive. That it should be not like a palace with marble walls and polished floors, and guards standing at the door, but like a tree with its roots deep in the soil, that shelters every kind of bird and beast and gives blossom in the spring and shade in hot sun and fruit in the season, and in time gives up its good sound wood for the carpenter; but that sheds many thousands of seeds so that new trees can grow in its place. Does the tree say to the sparrow 'Get out, you don't belong here?' Does the tree say to the hungry man 'This fruit is not for you?' Does the tree test the loyalty of the beasts before it allows them into the shade?" -Philip Pullman's The Good Man Jesus and the Scoundrel Christ, posted as a comment by Casey McCollum, a reader of this page. Forgotten, alone, dying. . . Received a call yesterday from a social worker at one of our major hospitals here in Dallas. 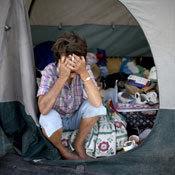 She described the plight of a homeless man hospitalized in the end stages of colon cancer. The man needs nursing care as he travels through the last days of his life. The hospital and the social worker are attempting to find the care he needs. Hospice has agreed to take him as a patient at no cost, but he must find a place to live. A complicating factor relates to his social security number. The one he has does not match the name linked to it in government records. Those charged with his care are working on that as well. The man was born in New York, so, for the record, he is not an undocumented immigrant. The man's request is to simply find a safe, clean place to step out of this world into the next. We'll keep working on that, possibly in one of our buildings or in a nursing facility that will work with us. I'm grateful to the social worker and to the hosptial for taking care of this forgotten, dying man who is so very alone. His situation reminds me of the difficulty so many face today as they try to make it through life on our streets. Last week a front page story published by The Philadelphia Inquirer reported that to survive in Philadelphia without public assistance a family of four would need to earn $59,501. That earnings number is up from $53,611 that was reported to be the "survival" pay scale in 2008. The report and the study behind it substantiate what we see here at Central Dallas Ministries. Simply because a family is earning wages that places them above the artificially low federal poverty line (about $22,000 a year for a family of 4) does not mean that they can survive and certainly not thrive. People without skills to earn a living wage need guidance and partners who will help them craft a plan for life that includes enhanced skills development, counsel about public benefits and encouragement from a community that regards them as neighbors and real friends. 10 things you need to know to live on the streets. . . Here is one of The Nation magazine's famous or infamous "Ten Things" columns. Thanks to my friend, Don Williams for directing me to it. If you care about homelessness and homeless persons, you must read this one! Just click here to do so. As always, I'd love to hear your reactions. Charlie Mae Ransom, friend, leader, community champion. . .
Last Thursday evening Charlie Mae Ransom, Central Dallas Ministries Board Member, passed away. Ms. Ransom lived in the Roseland Homes Community for well over 60 years. 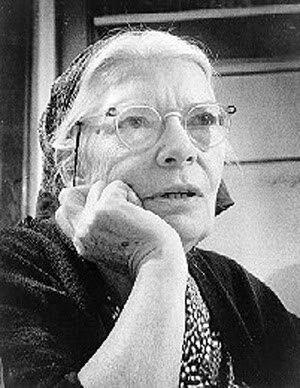 She championed the rights and the cause of her community like no one else. She ushered us into Roseland Homes, along with the voice and vote of her good friend, Walter Travis, in 1996. She has been my dear friend since those early days. Janet Morrison, Director of Education Outreach at CDM and leader of our After School Academy at Roseland Homes, put together the photo collections below. Enjoy them and remember her. To read Janet's moving tribute to Ms. Ransom click here. We will celebrate Ms. Ransom's life today in her memorial, homegoing. Given the creative minds and the vast ingenuity present in the nation, I know someone can connect the dots that mark the presence of a variety of seemingly very different national and international challenges facing us today. So, what if. 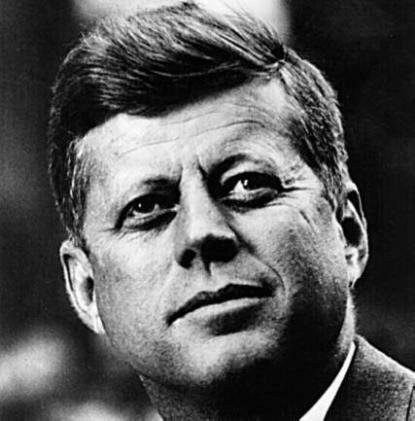 . .
. . .someone had the courage to lead us in a national movement to replace every drop of off-shore and imported oil with new energy, made in America and increasingly renewable as a percentage of the whole, over the next 15-20 years? . . .national policy awarded tax credits that could be used immediately or held in reserve to be used during a 10-15 year cycle at the point of greatest need from an investors/tax payers perspective in exchange for investment in domestic solar, geo-thermal, natural gas and wind energy? . . .homeowners who switched to solar panels, designed to produce higher levels of kw hours more efficiently, could receive tax incentives to invest in such efforts? Or, what if larger solar companies offered home installation on a "rental" basis much like cable TV so that they would be affordable to consumers now? . . .large, urban skyscrapers and any other sort of business buildings could invest in solar and/or wind energy systems with the understanding that energy cost reduction could repay the financing necessary to invest in such systems through the savings achieved and thanks to tax credits issued to such corporations and to the banks engaged in this community lending? And, while we're at it, add in the bank's ability to satisfy its CRA requirements in the process. . . .state and federal taxes placed on oil fuel consumption could be set aside for transmission infrastructure development to harness and deliver electricity produced by solar, wind, geo-thermal sources of alternative, domestic energy? . . .public schools, including special focus magnets and charter schools, began to invest in very specific training programs to equip young workers to enter the effort to refit our national energy system in the ways suggested here? . . .such educational programs involved actual hands on training focused in inner city communities both in terms of installation and service of new technologies and recruitment and training for the newly equipped labor force? . . .public incentives to our major research universities drove forward the technical advancement of alternative energy production processes and hardware? . . .work returned to our urban neighborhoods because that's what we intended to be an outcome? . . .students had a real reason to stay in school in view of the living wage jobs that awaited them at the end of their training both for non-college/trade students and college graduates? . . .the need for urban employment training and real jobs intersected our national need for new sources of clean, renewable energy and connected with our growing need to disconnect from so much foreign oil and from oil markets controlled by those who seek us harm? Surely there is a way. I know that in every crisis, like the one unfolding each morning before our eyes in the Gulf of Mexico, there is an opportunity to strike out in a new direction. If someone could just connect the dots, mobilize national will and provide authentic leadership, we might create new hope for millions and a higher quality of life for everyone. We need a national strategy for the renewal of the American economy for folks at or near the bottom of the economic ladder. What if we came together up and down that ladder to solve two enormous national problems that resulted in a stronger, more diverse economy, a cleaner environment and a more united and secure nation and world? No doubt, what I'm suggesting will take a comprehensive, large scale effort and an even larger national commitment. I'm not sure we can decide not to do something on such a scale, not if we want to ensure the health and future of the nation. Maybe it's just me, but I can't seem to get those dots out of my mind. "A study released this week by the Perryman Group suggests the CREZ project would create 41,000 jobs and $30.6 billion in economic activity when completed. The new wind power would cut carbon dioxide emissions 16 percent, cut nitrous oxide emissions 12 percent and save 17 billion gallons of water a year that would cool other power plants." Click here to the entire report. A couple of days ago I visited one of the poorest neighborhoods in inner city Dallas, Texas. A large scale community project was underway. Over 100 volunteers from Home Depot worked side-by-side with the residents of the neighborhood to build a KaBoom! playground for the children who live there. It was a very cool experience. As I drove away, my mind continued to spin. How do we change, reclaim and rebuild blighted areas like this one? I know it takes leadership, and this community has that on the ground every day. It also has a business champion (one of these posts I'll tell you about the particular, courageous leaders at work here) devoted to following the lead of the local leader. Still, substandard housing, lots of it rental and slumlord owned, dominates the streets. Vacant lots abound. People and work have basically disappeared over the past 40 years. The schools are weak, the drop out rates extremely high and not improving. Unemployment for those still living in the area is very high, and those who work don't earn enough to make life work, certainly not work well. Then, I think of the Louisiana coast, of New Orleans, of the fishing professionals who've been wiped out by the incredible BP spill into the Gulf of Mexico that now laps up into the wetlands and sweeps around the Florida coast on its way up the East Coast. I think of terrorists and oil imports and what seems to me to be clear connections. Somehow in the midst of all of this challenge, each of these large scale difficulties, swirling and seemingly disconnected, we may have a perfect storm brewing that will blow in great opportunity for bold, creative responses or one that will blow us further and further away from each other and down the wrong path. What we need in the neighborhoods and among the people with whom I work is heroic leadership willing to think with great, amazing creativity to connect the dots of opportunity that can be identified in the swirl of these seemingly desperate problems. While the issues/challenges may seem disconnected, I'd argue that we dare not allow them to be viewed in isolation from one another. Drop in tomorrow for the rest of my ponderings. . .
Henry Folsom Frazer is my third grandson and my fourth grandchild. His arrival, six weeks premature, taught me that no matter how many grandchildren I have, each one is special and loved equally with those who came before him. Little Henry's arrival gave us a couple of sleepless nights. But today he is thriving, just like his cousins. And, we are all mighty grateful for that and for him. By his original due date, completely meaningless of course, he should be about three weeks old. In fact, Henry arrived on March 29. Forgive me for sharing these photos. I'm so proud of him and so glad he is doing so well. We've been working on my traditional granddad bonding thing (including plenty of grunts and growls and lectures on the superiority of the New York Yankees). . .seems to be working right well! Below you can see me and the whole crew, little Henry and big cousin, Wyatt, who has taking an amazing and delightful shine to his youngest cousin. Something of the Spirit: The reality of a home! As good people find a home every day in our CityWalk@Akard building located at 511 N. Akard, I find myself full of gratitude for the entire effort, for the team that made it happen and for each new friend who moves in. Forgive me for revisiting a day several weeks ago, but it just seemed so right on this Sunday morning. My faith tells me that this is just what we should be doing with our time, talent and treasure, as they say in church! Listen carefully to the "testimony" of this new "home dweller." I think you'll hear her agreeing. Down and out Delta blues pointing to rock 'n roll down the line. Johnson recorded some of his music here in Dallas at Brunswick Studios located in a building of great interest to preservationists--508 Park in Downtown across the street from the Stewpot. As promised a couple of days ago, here's an essay by Dallas Observer columnist, Jim Schutze worthy of your consideration. I'd love to hear from anyone who is better informed on this than I. Anyone with a differnt understanding would be welcome to argue with the essay. Don Hill, the Dallas City Council member recently sent to federal prison for 18 years for bribery and corruption, didn't use a baseball bat on people. He was a lawyer. He used parliamentary procedure. The table, I call it. Hill knew developers always have a clock ticking—money sifting away like sand in an hourglass—so he tabled their issues at council, and re-tabled, and re-tabled until he got his way. Hill got sent away. The table is still with us. Take the curious case of Curtis Lockey, Craig MacKenzie and the LTV Tower 1600 Pacific Avenue building. Lockey and MacKenzie, who have long, serious résumés as commercial developers, tried to do a redevelopment deal that would conform to federal law. But the people running downtown Dallas don't want developers to comply with federal law. Federal law requires a lot of low-income housing. Dallas wants fancier things downtown. So Lockey and Mackenzie got tabled. They tell me the table cost them $30 million. Cash. Dead presidents. News hit our press this week that a prominent, historic, downtown church pledged $115,000,000 to underwrite a portion of the cost associated with the construction of a new sanctuary. That is a staggering number, possibly the most ever pledged by any group of church folk. That's just a lot of money. What's a church for anyway? Certainly, the contemorary church has become an institution, a cultural force, a haven for people of a certain mindset. When budgets and buildings and staffing and programming reach a certain level, the church takes on a life well beyond the simplicity of a group of people who believe in a person or accept the outlines and claims of a story, a narrative. Churches can turn inward, become self-serving. . .you know, sort of a country club for people who share a common belief system and worldview. Inside such a system it is not hard to justify the expenditure of huge amounts of money on real estate and improvements that serve, almost exclusively, those who accept the belief system or embrace the version of the story being promoted at one location or another. Trouble is, it becomes fairly easy in such a system to turn away from the core values, the clear directives of a very radical Messiah. Paying for a building can take the place of growing as a world-changing follower of a homeless, extremely poor, amazingly challenging, anti-material spiritual guide like Jesus. Oh, be sure of this, we can confess his name while abandoning his clearly delineated priorities. The program we devise to serve him can easily become a self-serving system shielding us from the real dimensions and demands of a Lord we too easily claim to accept without much if any thought of the cost associated with lining up with him. One hundred and fifteen million dollars is just one number. Spending $4MM on a church built during my watch as a pastor seems no more justifiable. If people of "the Way" really pursued the master of the path, the world would be in a far different place and amazing resources would be freed up to flow in kingdom directions. For some reason, I'm thinking of the poor, the pressed down, the marginalized, the outcast. . .I'm thinking of a very different expression of faith, one that could change lives, save families, reshape cities and relieve suffering. Jesus had a thing or two to say about those matters (read St. Luke's Gospel for a quick reminder). One thing is certain: a change in direction by the American church could reap wonderful results. But frankly, I'm not holding my breath. Assessing the wealth holdings of the same families for 23 years (1984-2007) shows that the wealth gap between whites and African Americans increased more than 4 times, from $20,000 in 1984 to $95,000 in 2003. This gap persisted for African Americans and white families in the same income range. For example, middle-income white households had greater gains in financial assets than high-income African Americans; by 2007, they had accumulated $74,000, whereas the average high-income African American family owned only $18,000. At least 25% of all African American families had no assets to turn to in times of economic hardship. To read a more detailed report click here. If you note the results of the current poll opportunity at the right of this column, you find the expression of a curious, but common reality. Seventy (70) % of those polled want permanent supportive housing (PSH) spread out all over the city, neighborhood by neighborhood. Three of 10 polled (obviously a very unscientific and low-participation poll!) think the best place for PSH is in the downtown area. The reality for PSH developers: it is virtually impossible to get neighborhood groups to agree to locating such projects in their neighborhoods when the opportunity presents itself. Conclusion: 1) Downtown is not the place for these developments. 2) Neighborhoods make better PSH sites. . .just so long as they don't come to my neighborhood! So, let's all agree to have our cake and eat it too. Are poor people welcome in Downtown Dallas? My office sits on the 3rd floor of our newly redone building at 511 N. Akard on the Arts District side of Downtown Dallas. It is also going to be home to over 200 low-income persons. So, since they live here, it's hard to say that poor people aren't welcome in Downtown. We had help getting the development done, including help from the City of Dallas. We're grateful for the partnership. That said, it is clear to me that many people don't believe low-income folks can contribute anything positive to the revitalization of the central core of our city. We've heard and received various expressions of concern and opposition to our City Walk project. While the city's housing department helped us with the development by providing funds and counsel, compared to city support provided developments of upscale projects, what we received reflects the city's priorities about workforce and permanent supportive housing in the Downtown area. Poor folks and their housing needs just aren't high on the city's list. Consider: less than 1/10 of 1% of the general revenue operating budget for the City of Dallas goes to the Housing Department. Most of those funds pay salaries and support specialized programs. The city doesn't have a robust, adequately funded strategy for the development of affordable housing or permanent supportive housing. The bulk of the development funds flowing from the city to developers comes from the federal and state governments. Our local commitment to addressing the problem is anemic. One: begin a stairstep increase in the Housing Department's allocation from 1/10 of 1% to a full 1% over a 5 year period. This would allow the department to implement an effective plan over 60 months as funds rose gradually. Two: craft, support and pass a bond issue to create a City of Dallas Housing Trust Fund of $50 million in the next bond election, hopefully no later than 2011. Such a trust fund would ensure the availability of resources for developers committed to building affordable housing and permanent supportive housing (PSH) for low-income residents of Dallas. Once established, at least 30% of the fund's earnings should be earmarked for PSH. Poverty is a strange and elusive thing. I have tried to write about it, its joys and its sorrows, for thirty years now; and now I could probably write about it for another thirty years without conveying what I feel about it as well as I would like. I condemn poverty and I advocate it; poverty is simple and complex at once; it is a social phenomenon and a personal matter. Poverty is an elusive thing, and a paradoxical one. We need always to be thinking and writing about it, for if we are not among its victims its reality fades from us. We must talk about poverty because people insulated by their own comfort lose sight of it. So many good souls who visit us tell us how they were brought up in poverty, but how, through hard work and cooperation, their parents managed to educate all the children--even raise up priests and nuns for the Church. They contend that healthful habits and a stable family situation enable people to escape from the poverty class, no matter how mean the slum they may once have been forced to live in. The argument runs, so why can't everybody do it? No, these people don't know about the poor. Their concept of poverty is of something as neat and well-ordered as a nun's cell. …if by liberal they mean someone, who looks ahead and not behind, someone who welcomes new ideas without rigid reactions, someone who cares about the welfare of the people—their health, their housing, their schools, their jobs, their civil rights, their civil liberties—if that is what they mean by a “liberal,” then I am proud to be a liberal. We are proud to announce that A Night To Remember 2010 is all set for Monday, October 25 at the Morton H. Meyerson Symphony Center! This event is a celebration of the lives we touch (and that touch us) every day in the neighborhoods where we live and work. 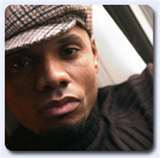 This year’s event will feature Grammy-winning, multi-platinum, crossover gospel king Kirk Franklin! A native of Ft. Worth, Franklin will bring to us a strong sense of community – incorporating local talent in his powerful onstage performance. Please mark your calendars and plan to join us in October. Further details and sponsor packets will be available in the weeks ahead. A Night to Remember offers CDM a special opportunity to build funding for and awareness of our mission as it plays out in the lives of our neighbors. You can play a huge role in the event by planning now to attend, become a sponsor and encourage your friends and associates to join you in supporting this great event. Please pass this post along! • The Center of Hope, a brand new outreach and equipping center, to be built at the corner of Malcolm X and I-30. This unique campus will address nutrition, health care, wellness, hard and soft employment skills training, access to high-quality grocery options, jobs and community renewal. • Continue in our role of spearheading the development and support of a significant number of permanent supportive housing units for the chronically homeless who at present live on our streets and in night shelters. • Deepen our commitment to provide high quality, nutritious food to our neighbors in need. We will not simply focus on how to distribute more and more food, but rather continue to ask why our neighbors do not have access to the healthy food they need and desire. I look forward to celebrating another A Night To Remember with you. My family tree, back three or four genera-tions, and I am sure much further, is populated by extremely poor dirt farmers. My grandparents and parents worked as sharecroppers for much of their lives. West Texas is where the family rooted for a long, long time. 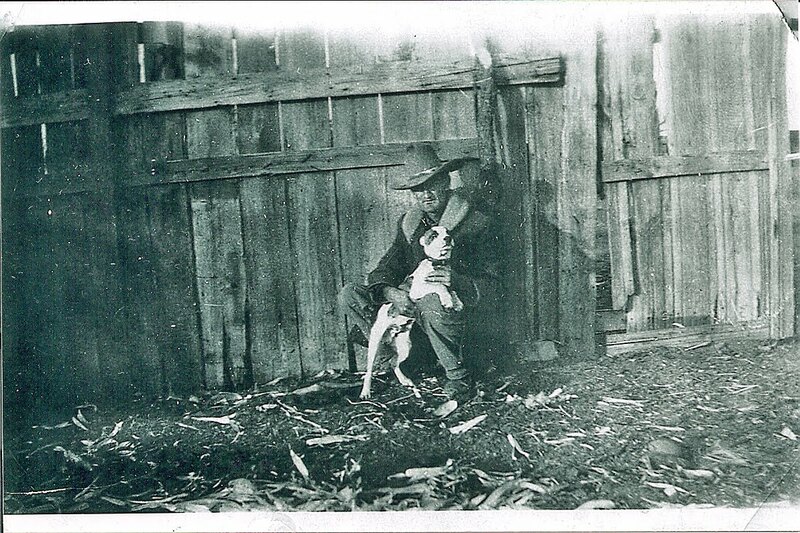 Recently, my cousin brought me this photo of my grandfather, Hill Sawyers. 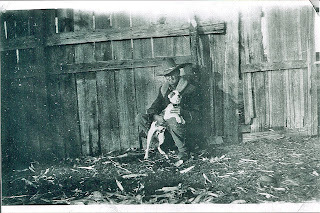 Taken in the mid to late 1920s out in Stonewall County near Old Glory, Granddad worked farm land to provide a meager existence for his family that included my mother. Our family emerged from the deep poverty of its past thanks to a combination of white privilege; various forms of government assistance, including help with education, tax policy, health care and homeownership; and hard work. Not rich today by any means, all of us who survive are doing much, much better than Granddad and Grandmother. Hill Sawyers was a special person in my life. He took me all over the canyons and "breaks" back of his old clapboard house on many memorable occasions. I remember how much I loved to make the trip to "West Texas." I remember being fascinated by his high-top, lace-up shoes, so soft and worn, much like his well-worn overalls. He chewed Brown Mule tobacco by the plug. He covered his toothless mouth with his arthritic hand when he laughed out loud. He was a character. Recalling just now an old Randy Travis song, I guess I did think that he walked on water. To hear Randy Travis' song about a man like Hill Sawyers, He Walked on Water, click here. Or, watch this rather rough video of Travis performing the song. Esther Duflo uses her knowledge of economics to find solutions, real solutions to troubling issues emerging from poverty. Give her a listen. I think you'll be glad you did. 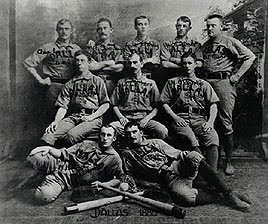 The first pro baseball team to take the field, right out of the saloon, for Dallas wore the name "Hams." Go figure! At any rate, great story about the earliest days of Texas League baseball here in Dallas published as a part of The Dallas Morning News' 125th anniversary special reports. We all must have it to survive. Those of us who enjoy ready access to it don't give it a second thought most of the time. Because of the richness of our blessing, we often miss the significance and power of food. Food acts as an organizing force for social action. Families and friends gather around tables every day to share meals. Along wtih meals come plans for and reports on the day, ideas, dreams, fears, confessions and actions. Food levels us. Since every single one of us must have it, we must admit that our connection is communal, viseral, organic and universal. Evil people use food as a weapon. Loving people use it to create ordinary forums for celebration and discovery. Food is all about togetherness, hope and being human. Food anchors us to the earth. Food draws out celebration. . .it is the stuff of parties, wakes and home-goings, committee meetings, community organizing gatherings and late-nite, bedtime snacks. Have you noticed? Food facilitates conversation, connection and communion. Consider the place of "the meal" in Christianity, Judaism and Islam--central, reoccurring and defining. Food is about hard work, growth and the promise of another day. Food seems to track right along with fellowship. Food makes children laugh and run and play. The lack of food makes the same children cry and sit and wonder. Sharing, providing, distributing, manufacturing, growing, harvesting, selling, gathering and eating food nudges up against the Sacred. Think about it when you enjoy your next meal. Food--not something to take lightly or for granted. What follows combines a couple of reports last week about the stance of the Phoenix Suns in the current immigration debate set off by Arizona's new law. In general, people in the sports world keep their political leanings to themselves. Sure, there are a few guys who regularly speak out on political issues, but for the most part that's considered bad business. As Michael Jordan put it, "Republicans buy shoes too." That's why what the Phoenix Suns are doing is so amazing. 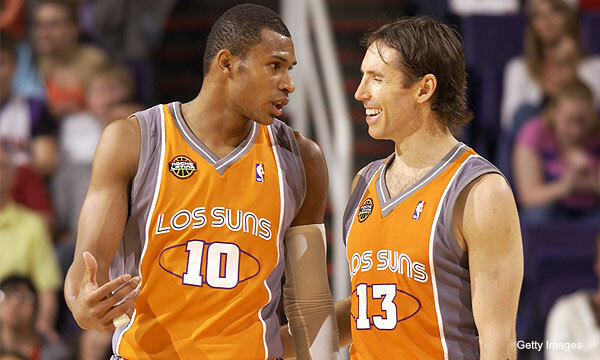 The Suns voted on the jerseys and unanimously decided to wear them for Cinco De Mayo. As if he weren't likeable enough, Phoenix guard Steve Nash(notes) succinctly summed up the Suns' feelings on the issue. And it's not just the Suns who are speaking out on this issue. Spurs coach Gregg Popovich is on board, and the team even tried to get their "Los Spurs" jerseys, though it was too late to do so. When asked for approval to wear the jerseys, the NBA "was all for it," said Suns general manager Steve Kerr. Furthermore, NBA Players Association executive director Billy Hunter issued a press release, denouncing the law. 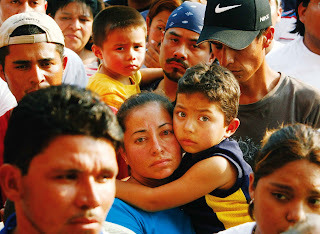 The recent passage of the new immigration law in Arizona is disappointing and disturbing. The National Basketball Players Association strongly supports the repeal or immediate modification of this legislation. Any attempt to encourage, tolerate or legalize racial profiling is offensive and incompatible with basic notions of fairness and equal protection. A law that unfairly targets one group is ultimately a threat to all. We applaud the actions of Phoenix Suns players and management and join them in taking a stand against the misguided efforts of Arizona lawmakers. We are consulting with our members and our player leadership to determine the most effective way for our union to continue to voice our opposition to this legislation. It's not much, just an extra three letters on the front of a tanktop, but it means a lot more. As Kerr said, the Suns want to "make sure that people understand that we know what's going on and we don't agree with the law itself." For a sports team, that's huge. Los Suns have caused quite a storm. The Phoenix Suns wore jerseys that said "Los Suns" on Cinco de Mayo during Game 2 of their Western Conference semifinal series against the San Antonio Spurs to protest Arizona's immigration law. Suns star Steve Nash said the Arizona law "really damages our civil liberties. I think it opens up the potential for racial profiling and racism. ... It represents our state poorly in the eyes of the nation and the world." The Suns' political proclamation has created a big stir, including inspiring one fan to shred her game tickets. What would it be like to make your living in a coal mine? As local news reports out of Comfort, West Virginia put it on April 10, "Time stopped five days ago for the families of 29 coal miners killed in the devastating explosion at Upper Big Branch mine." The disaster points up the risk and the harshness of some forms of labor, work that communities depend upon for life as we know it. As I've thought about the loss of life and the sacrifice of these and other laboring people, Willie's new album and the song, "Dark as a dungeon" came to mind. I post it here as a tribute to miners everywhere. African American men commenting on education and its importance to all of our communities and our future. Teach for America provides the platform for this important conversation. My friend, Rev. Gerald Britt asks the important question of us all, "Are you willing to invest in the education of my children so that they can grow up and compete on an even playing field with your children?" Possibly that is the fundamental question. Came across an informative article in Fast Company on the d.school at Stanford University on the very morning I prepared for a trip to Stanford to work with the creative folks who lead this special, creative laboratory! I'm making the trip with partners from PepsiCo. It appears that we will be present for the official opening. Our design challenge is just how to best use the 90 minutes we will stop at each summer lunch feeding location on our mobile delivery routes this summer. What should we bring to the children and their communities besides the food that will be delivered daily? How do we maximize the impact for the overall good and growth of the children? Should be an interesting experience. The report below makes it clear that my quick trip won't be a waste. See what you think. Not so, says George Kembel, the executive director of the school. Even if your company doesn't have a few million to throw at making your space more innovation-friendly, there are things you can do to optimize what you've got. 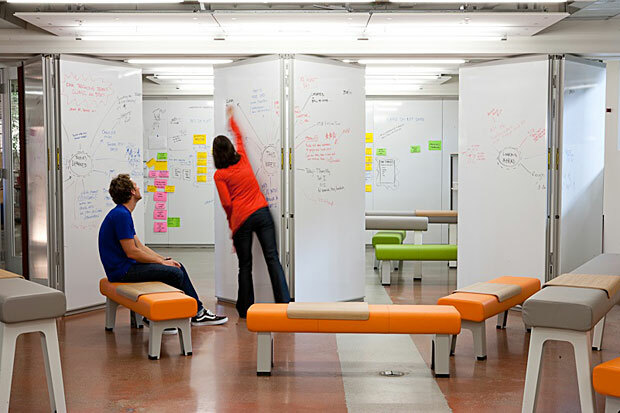 The d.school team sat down and brainstormed 11 great ways to transform your digs into a little hive of bubbling creativity--or at least a place that manages to capture the occasional good idea. 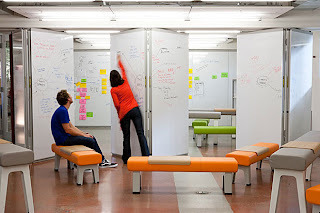 To review the most interesting list of ways to make your space radically collaborative click here. "Let's Move" time to join the effort! Central Dallas Ministries plays a part in the "Let's Move" initiative here in Dallas by providing healthy after school and summer lunches to thousands of children. This summer our Nurture, Knowledge and Nutrition program will deliver meals to over 200 sites where children take advantage of organized summer activities. In addition, thanks to a partnership involving our AmeriCorps team, PepsiCo and the Texas Department of Agriculture, an additional 500,000 meals will be delivered to thousdands of children who are not enrolled in organized programs, but who need the food. All together we expect to deliver and serve well over 1 million meals. Our efforts focus on reaching as many children as possible with healthier food than ever before. The video provides some national context for our local efforts. Enjoy! We've been repeating the same message for years: providing permanent supportive housing for the homeless reaps millions in savings. My hat is off to the City of Dallas and to people like homeless Czar Mike Rawlings for promoting the development of more PSH units. I believe you'll find this WFAA Channel 8 report instructive and encouraging. After you watch, tell me what you think. Here in Dallas, The Center for Nonproift Management, in partnership with Communities Foundation of Texas, published an interesting report, Surprising Power: The State of the Nonprofit Sector in North Texas. The report focuses on the work and presence of nonprofit ogranizations in the 16-county region. Here are a few of the facts the report "unearthed." There are 19,336 registered 501 ( c ) 3, nonprofit organizations in North Texas. Of that number, 7,393 file IRS Form 990 tax returns. 9,149 are located in Dallas County; 4,788 in Tarrant County. In 1998, there were 70,383 nonprofits registered in Texas; by 2008 that number grew to 100,734. 82.66% of the region's nonprofits operate with an annual budget of less than $100,000; something less than 2% operate with annual budgets between $5 million and over $10 million. In 2008, the total revenue reported on the Form 990 was $17.7 billion; $12.1 billion in Dallas County; $4.7 billion in Tarrant County. Texas has 40.8 nonprofits for every 10,000 people. In the U. S., the norprofit sector employs almost 13 million people or 9% of the national workforce. Nationally, nonprofits represent 5.2% of the GDP and 8.3% of U. S. salary and wages. In the North Texas region, nonprofits employ 94,533 individuals. Between 1997 and 2001, nonprofit employment added more than 1 million jobs to the nation's economy. From 1998 to 2005, employment in the sector grew by 16%--three times faster than the rest of the economy. Nationally, nonprofits employ 12.5 million workers, almost 10% of the workforce. David Hornbeck on educating our children. . .
David Hornbeck, former Maryland Commissioner of Education, Superintendent of the Philadelphia public schools and founder of Good Schools Pennsylvania, spoke on April 22 at the "Mayor's Breakfast" for the Dallas Faith Communities Coalition. A minister, lawyer, community organizer and advocate for children, Hornbeck blew me away with his challenging message about education in America, especially among the children of low-income folks. He informed an attentive audience of community leaders who work mostly in West Dallas that we have the knowhow to educate any and every child "in whom we have an interest." Of course, the last phrase is the key to our opportunities, as well as our failures, isn't it? In public education today, our problems are not related to knowledge, but to will. He asked us if we wanted for all children the same educational options that we desire for our own children and grandchildren. He quoted the words recorded in Matthew 25:31ff where Jesus says that whenever we serve the hungry, the naked, the outsider, the homeless, the ill and the imprisoned, we serve him. Hornbeck quickly pointed out that folks who fall into any of those classic categories of need and want are "disproportionately undereducated." He told us that the ability to predict a child's level of educational attainment by learning their zip code is "immoral" and unacceptable. 1) We must believe that all children can achieve and at a high level. Expectations are key. This belief must permeate every decision that we make in creating a learning condition. 2) We must use effective practices so that results trump tradition or long-established process. 3) We must develop fair accountability systems for teachers and students. 4) We must find adequate funding that is fairly (justly) raised and equitably distributed, recognizing that local areas will need assistance from their states. The only reason we don't get it done is our lack of public and political will. Lot's to consider in his words of experience and wisdom. As I walked the mega-march route yesterday here in Downtown Dallas, I observed so many moving sights and sounds. Singing, chanting, laughing, joy just filled the streets. I will continue to remember the children, the precious little ones. Really, the action was all about them and their futures as Americans. I'll write more, but for now, just these snapshots. Over twenty years ago, I accom- panied two dear friends on a pilgrimage of sorts to a little-known, out-of-the-way Benedictine monastery hidden away in a canyon northwest of Santa Fe, New Mexico. 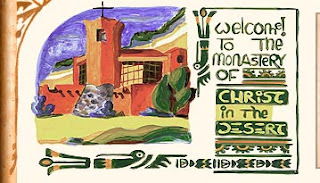 For five days and nights we lived with the monks of the Monastery of Christ in the Desert. To say the least, the experience proved unforgettable. My mind drifts back to that formative week very often. The older I get and the more I am in touch with the poor and those living on the tough and expanding margins of our culture, the more I seem to go back to my experience in the desert. Our stay happened to fall in the midst of Lent. As a result, we were up all hours of the night praying our way through the Psalms with the monks, all of whom seemed unafffected by the rigor of our schedule. I remember the solitude and the deafening quite. Upon my return to Dallas, I realized just how loud and intrusive everything about the city seemed to me. I remember how easy it was to think there and how well I slept on my straw mattress spread out on a narrow shelf in my private cell. I recall a conversation with one monk. I asked him why he chose to live in such isolation in such an unusual community. He replied, "I am here to pray for churches in Christ everywhere." For some reason I'm back there again today. It is a good place to stop and to consider what is important. An Abba said: "No one can build a house from the top down; rather, you build the foundation first and then build upwards... the foundation means your neighbor whom you must win, and you ought to start from there. For all the commandments of Christ depend on this." 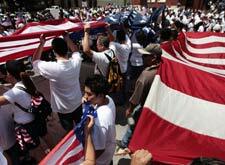 Images from the Dallas' Mega-March for immigration reform. . . Recent legislative action in Arizona prompted renewed conversations about immigration policy, national security and immigration reform. News reports out of Arizona over the past couple of days link the new law, giving police the authority to arrest residents without proper documentation, to Mexico's "drug wars" that threaten to spill over into the United States. Making that connection doesn't stand up under even a cursory investigation. The vast, vast majority of immigrants in the United States and in Arizona have no connection whatsoever to the illegal drug trade. Such unfair, unproven rhetoric does not advance an honest discussion, but promotes bigotry, hatred and division in our communities. The hundreds of immigrants I've known and talked to over the past 16 years came to the U. S. seeking a better life, work and hope for themselves and their families. This is the story for almost all of the 12-14 million immigrants in this country without the proper papers. And, this has been the story of all of us immigrants who came to the U. S. or whose ancestors arrived before us. And, we've all taken good advantage of their presence. Businesses, homeowners, contractors, restaurants. . .the list is practically endless. The economy in Dallas would be hurt severely by the exit of the folks who are here without documentation. So, I'll walk with thousands of others today. I'll walk because I believe in the people who need to be included in our national life. I'll walk because I believe in the promise of our nation. Working folks don't enjoy easy lives these days. I expect that has always been true. In working my way through the epistle of St. James recently, I discovered that the brother of Jesus had some very pointed things to say about working people, wealthy people and the way the system works or doesn't work for the poor. Sometimes you just need a song for reflection and strength. Songs often recognize the obvious, but in ways that lend encouragement to the struggle.